You can also read about Peppa’s fancy dress party and find out who wins the prize for the best outfit! Find the objects to pick up and learn their beginning letters. Play a catching game and learn new words. Read about Peppa’s fancy dress party in the interactive e-book. Teaches the alphabet, beginning letters, vocabulary, reading , problem solving and more. Exclusive to the InnoTab series. 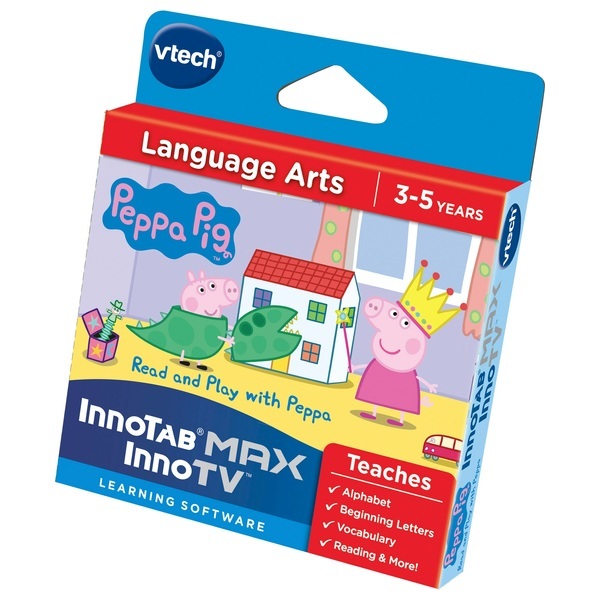 Help Peppa and George play entertaining games as they tidy up the house together!